Peripheral vision problems mean that you don't have a normal, wide-angle field of vision, even though your central vision may be fine. Moderate and severe cases of peripheral vision loss create the sensation of seeing through a narrow tube, a condition commonly referred to as "tunnel vision." Symptoms of peripheral vision loss also can include difficulty seeing in dim light and decreased ability to navigate while you are walking. A common cause of loss of peripheral vision (also called a peripheral field defect) is optic nerve damage from glaucoma. Eye "strokes" (occlusions) that block normal blood flow to the eye's internal structures, including the optic nerve, also can lead to loss of peripheral vision. A stroke or injury also may damage portions of the brain where images are processed, leading to blind spots in the visual field. If you suspect you have lost peripheral vision, see your eye doctor for a comprehensive eye exam that includes visual field testing. If you have a sudden decrease in peripheral vision, see your eye doctor immediately. Sudden loss of peripheral vision may indicate a detached retina, which is a medical emergency that must be treated as soon as possible to avoid permanent vision loss. 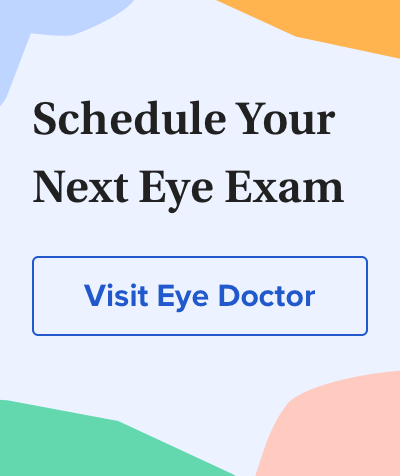 Unfortunately, there are no easy vision correction options such as conventional eyeglasses or contact lenses that can correct permanent loss of peripheral vision. A type of lens known as a prism sometimes can be added to your eyeglasses prescription to expand your field of view if you have certain types of peripheral vision loss. If you have glaucoma, the best "cure" for tunnel vision is prevention. If eye drops are prescribed, you absolutely must take your glaucoma medication regularly to control high eye pressure, or you risk permanent optic nerve damage and development of blind spots in your visual field. Left untreated, glaucoma can lead to permanent loss of peripheral vision and even blindness. Even if you have normal vision, you might use some techniques such as those taught by sports vision specialists to train yourself to see better in the peripheral parts of your field of view. These methods can be helpful particularly if you need to hone your peripheral vision skills for sports such as basketball and baseball. If you have permanent loss of peripheral vision, you should consider visiting a low vision specialist who can advise you about special eyewear or optical devices that might help with mobility problems caused by tunnel vision. Also, be aware that reduced peripheral vision may affect your ability to drive safely. A low vision specialist can tell you about the extent of your peripheral vision loss and whether your remaining vision meets the legal requirement for a valid driver's license in your state. **Perceptual relearning of complex visual motion after V1 damage in humans. The Journal of Neuroscience. April 2009. *The management of sports-related concussion: current status and future trends. Clinics in Sports Medicine. January 2009.